Local marine recreation businesses and groups conceived ways to reduce marine litter generated by the sector at the recent WWF “Marine Recreation Brainstorming Workshop” under the ECF Sea Without Litter project. Several recurring themes emerged from feedback gathered from participants, which ranged from junk boat companies, diving companies, sailing and water sports groups. “At boat parties, customers tend to forget which cup they were drinking from or where they placed it and use a new cup instead. More than 100 disposable cups can result from a single boat trip,” according to one participant. According to a government-commissioned study, marine litter in Hong Kong commonly increases starting from May and peaks in August1, coinciding with the peak season of marine recreational activities. Although rainfall also contributes to the problem by washing shore litter into the sea, leisure activities generate large quantities of marine litter. 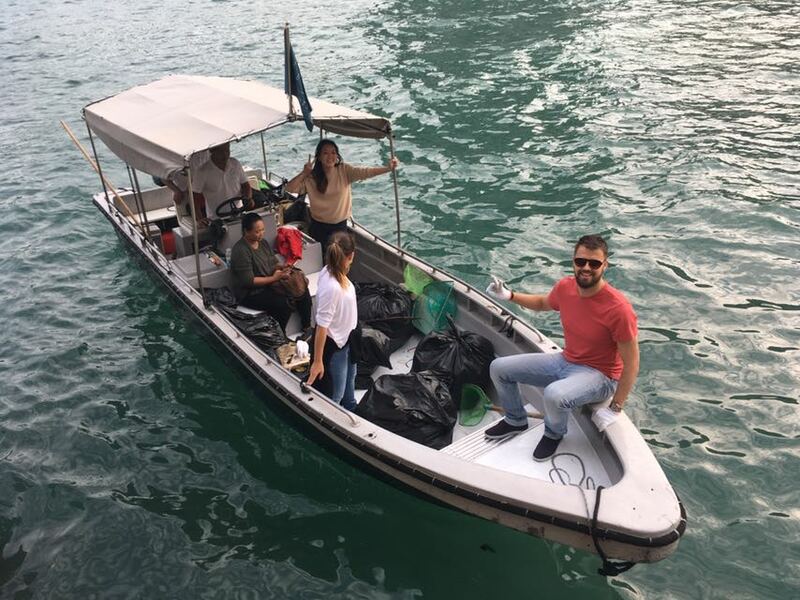 WWF’s Sea Without Litter project, set up with support from the government’s Environment and Conservation Fund (ECF), encourages marine-related stakeholders to take a proactive role in reducing marine litter. One program participant, Hong Kong Yachting, was awarded the “Plastic-Free Transformation” Role Model Award for its efforts. 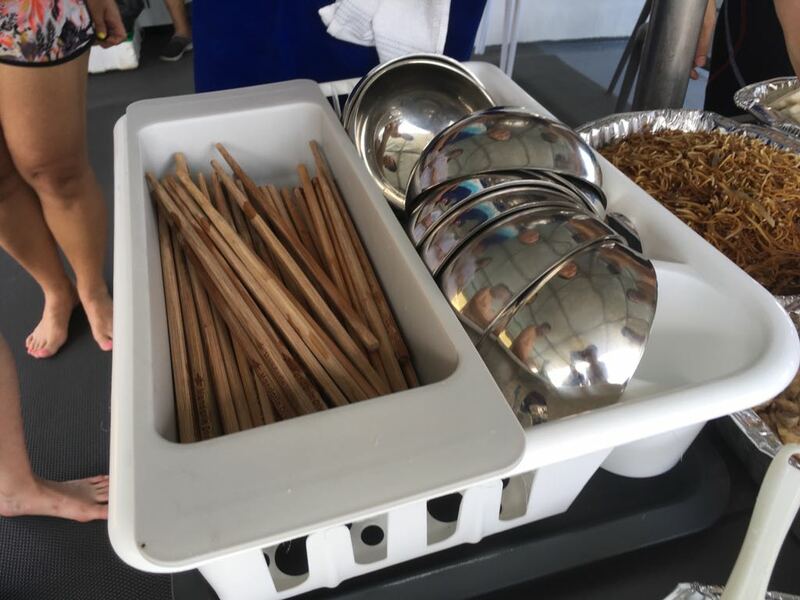 In two of its boats, which receive more than 200 charters per year, the company replaced disposable plates, cutlery and serving trays with quality reusable ones. Water-dispensers were installed and single-use bottled water has been eliminated with no plastic bottled beverages provided. On-board waste is also sorted for recycling. The trend is catching on and a number of diving boats and junk boats are already using reusable and water dispensers,or have shown willingness to change if further support is provided by WWF. However, recycling boat waste remains a major issue as the lack of recycling facilities at piers provides no convenient outlet for recyclables. WWF is following up with relevant government departments to rectify that but progress will take time, which makes it important for customers to play their part by reducing waste and taking their recyclables with them to shore. Diving Adventure, winner of the “Creative Waste Reduction” Role Model Award, has taken a step further by reducing other types of waste. 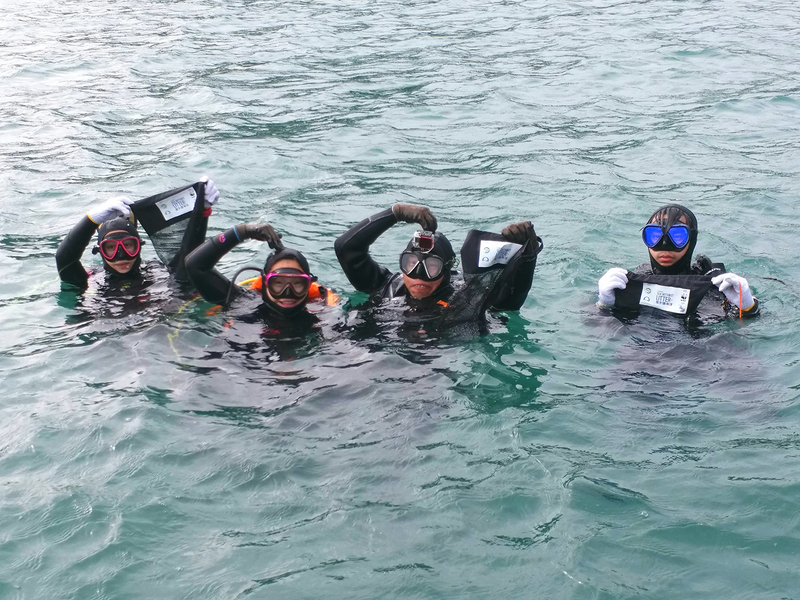 It has worked with a charity group to encourage the donation of diving equipment from retired divers to re-use in diving courses for the disabled. It also installed solar panels on six of its boats to extend the lifespan of their batteries and reduce fuel usage. Apart from boating activities, regattas, dragon boat festivals and water sports practices are held all year round, but summer time sees the highest gathering of these activities, generating large amounts of disposable plastic water bottles used by athletes. Green Dragons Hong Kong, which is a collection of dragon boat teams, is the winner of our program’s “Member Involvement” Role Model Award. It is actively reaching out to members to pledge “ditch disposable” and to bring their own reusable water bottles to dragon boat practices and races. In addition, it supports regatta organizers efforts in switching to sustainable operations. To bridge the gap, the Life Front-Line Sailing Ministry, winner of the “Clean Sea Education” Role Model Award, is incorporating educational material provided by WWF into some of their regular sailing training courses, such as by including talks on marine litter and 30-minute-beach-cleanups. Several other water sports groups are following suit in trying to raise awareness among their own members and students. Mott MacDonald (2015). Investigation on the Sources and Fates of Marine Refuse in Hong Kong.